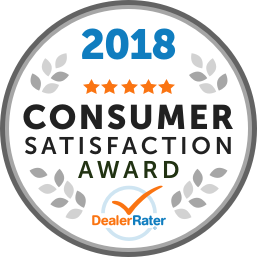 "Worth the drive to Ingersoll "
Great bunch at glassford everyone extremely friendly and helpful easy to deal with wouldn’t hesitate to recommend them to anyone and will return again in the future thanks. I would recommend this dealership to anyone looking to purchase a New or Used Vehicle. After purchasing several vehicles at my local dealership, i decided to go out of Town this time around and was glad i did. They made my purchase and decision easy with their advice and weren't pushy. I dealt with Keith Thibideau who was instrumental i making my deal happen as well as Bruce Munds. Thank You Glassford for helping make a stress free choice ! I always believe in shopping local but sometimes its worth the drive and time to look around and know that you made the right decision. 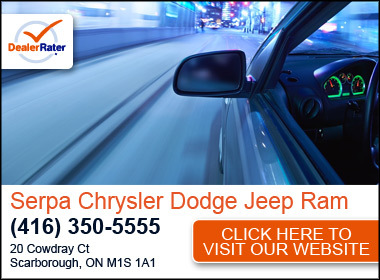 After doing a great deal of personal research for several weeks for the pick up I wanted I landed at Glassford Chrysler going by on the 401. On entering the dealership I was greeted and offered a coffee by the beautiful receptionist. Not knowing a soul I asked for a truck salesman. Mike Geoffrey greeted me and lead me through a very pleasant hour of showing me what I was looking for and a test drive. I was ready! They had the right truck at the right price. I highly recommend Mike to anyone who looking . No high pressure here for sure. Mike Geoffrey the sales guy and Bruce the finance guy. I recently leased a Ram. My experience at Glassford was positive. I dealt with Dave McLaren. He was friendly and very helpful, explaining how a lease works. Everyone else I met seemed like good people. I had no negative issues. I recommend checking out Glassford if you're looking for a Dodge. "All around poor service "
In my opinion I would drive out of my way to avoid this dealer! The level of customer service they provide is one of the worst I have ever experienced! Mike Merryfield was very knowledgeable and walked me through the process and made me feel comfortable. After doing some comparison shopping I was happy with the price. We recently bought our first brand new minivan from Glassford Chrysler. We are very happy with the vehicle we decided on. Dave McLaren was helpful and guided us as to what we were looking for and what best suited our family. A friendly atmosphere and we didn't feel pressured at all. An overall good experience.